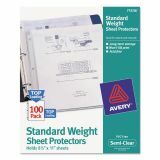 Avery Top-Load Sheet Protector, Letter, Standard, Semi-Clear, 100/Box - Semi-clear material reduces glare as compared to clear material. 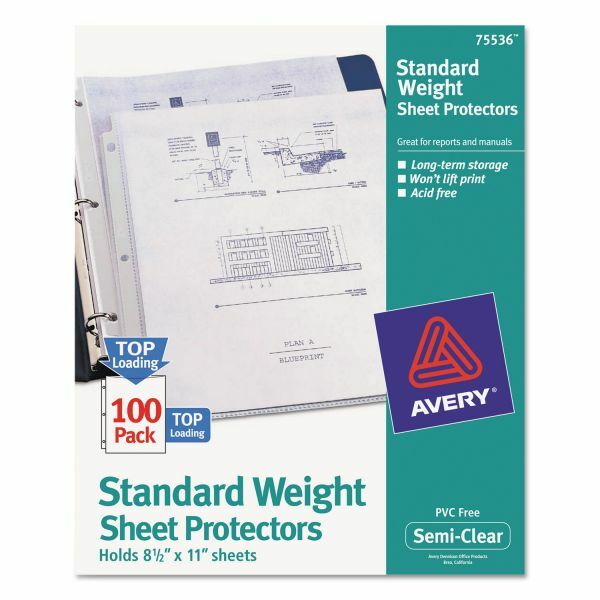 Sheet protector offers a standard-weight material for lightly referenced documents. Made of nonstick polypropylene. Won't lift print off inserts. Sheet protector is top-loading so it's easier to load. Archival-safe.